When residents of South Riding suffer from ingrown toenails, they turn to Dr. Mukesh Bhakta, D.P.M. for treatment from a compassionate and experienced podiatrist. Dr. Bhakta and his team at South Riding Foot & Ankle Center treat athletic injuries such as ankle sprains, orthotic conditions like plantar fasciitis, cosmetic issues including fungal nails, and most other conditions affecting the foot and ankle. Because he’s treated thousands of patients in the last 10-plus years, you can rest assured that Dr. Bhakta has the experience to treat ingrown toenails or any other podiatric condition you may have. In the event that you develop an ingrown toenail despite your best efforts to prevent it, Dr. Bhakta can recommend a treatment that caters to your unique needs. This may entail soaking your foot in warm water, taking antibiotics, or undergoing a partial nail plate avulsion (surgical removal of a portion of the toenail). Dr. Bhakta is the practice’s sole provider and even performs his patients’ surgeries, so you’ll always know exactly who will be treating your ingrown toenail, even in the event that an operation is recommended. 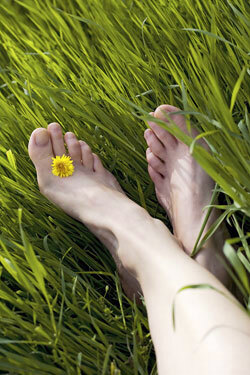 If you suffer from ingrown toenails, click here to schedule an appointment with Dr. Bhakta. You can also contact us to learn more about our services and the podiatric conditions we treat.